The first step to get protected against a gas and to limit risks is to be aware of its physical and chemical properties. GazFinder is a free access very powerful dynamic web-based database and search engine that gathers about 1.700 gases, vapors and hazardous substances for this purpose. GazFinder is a dynamic web-based interface. It is now easy to find gases main features and specific properties with a single click. This gas search engine and database is available on any support – computer, tablet, smartphone – and gathers around 1.700 gases to respond to the needs of many workers and industries. You just need to type a gas name! Thanks to its quick, powerful and smart search engine, GazFinder can find a gas with its denomination but also with its chemical formula, CAS number (Chemical Abstracts Service unique record number), EINECS number (European Inventory of Existing Commercial Chemical Substances) or even with a synonym! gas properties with a single click! 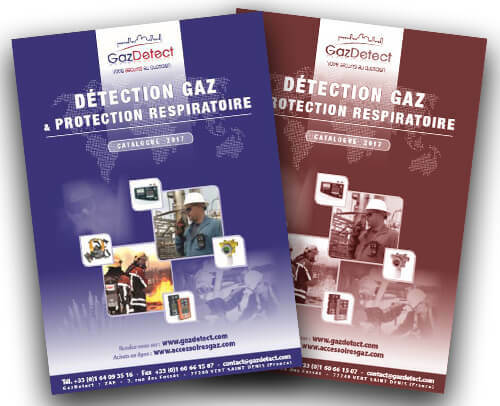 In addition to gases features and essential information, GazFinder also provides information on the proper detection equipment (portable gas detector, colorimetric gas detector tube or fixed gas detection system) as well as respiratory protective devices (air purifying respirator with cartridge type or self-contained breathing apparatus) for any given gas or substance. Please visit GazFinder to take advantage or this free, powerful and effective tool!